The family was driving in a three-car convoy. - by that's life! Tributes are flooding in for three siblings who were killed in a horror crash in northern New South Wales. 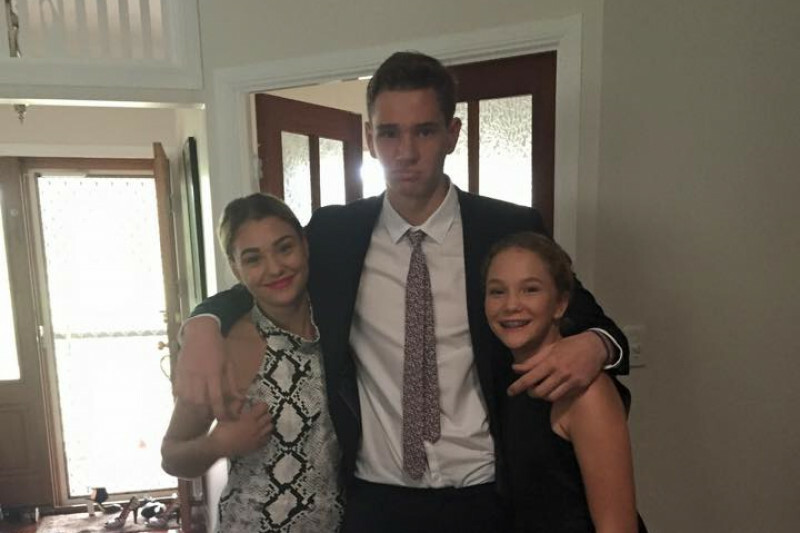 Jack Pink, 19, and his sisters Marina, 17, and Destiny, 15, were killed in a three-vehicle collision on the Newell Highway, near Boggabilla on Monday. 9News reports their father Glenn Pink, who was driving at the front of the convoy, collapsed on the road nearby after learning of the deadly crash. Marina was due to celebrate her 18th birthday today. The message continues: "Jaze and Glen are good people with an amazing family. Burdened with life troubles. Life is not easy. What they do is everything for the kids. To lose 1 would be crazy. They lost 3 in 1 split second is just out of this world. “They are great people and their sacrificial love for their kids knows no bounds. This is a crushing blow to this tight knit family." The family were known for their work on the travelling show circuit. Mother Jaze wrote an emotional tribute online to her daughter Marina in light of her birthday, the Daily Telegraph reports. The mother added: “I miss you more than words could ever say, keep your brother and sister in line. You can donate to support the Pink family at their GoFundMe page.